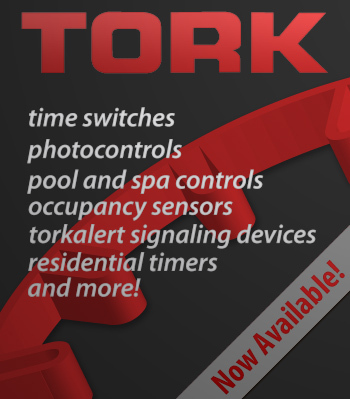 NSi/Tork Sales | Insulated & Wire Connectors, Tools & Testers, Industrial Lighting & More! The centerpiece of NSi’s incredible product offering, Polaris in original black is the insulated connector that every other connector copies. Its introduction marked the beginning of a new age, providing the fastest, safest, most professional connection possible. In-line, wire entry from either side, multi-cable, stacked - if you have a need, there’s a Polaris that works for you. Perfect for motors, Polaris Grey provides the unique ability to connect or terminate fine stranded, flexible, and ultra-flexible copper cable whenever maintenance or repair are required. With an integral sleeve that protects fine strands and reduces stress on the conductor, you can connect, disconnect, and reconnect with ease. UL listed for use with fine stranded, flexible and ultra-flexible copper cables. Finally, a Polaris for everything: Polaris Blue is UL listed for direct burial AND submersible applications. Its only limitation is the cable's limitation... so it goes everywhere you need it to. And of course, custom Polaris Blue is also an option. There simply isn't an easier field installation, where you can ldave your epoxies and heat shrink in the truck! NSi Industries has been supplying electrical products since the mid-80s. Starting out with lugs and connectors, NSi found a niche in insulated splices under the brand name Polaris™ and has been the industry leader in insulated splicing ever since. Covering every imaginable wire combination & layout, Polaris has splices designed for motors as well as direct burial/submersible applications. Since inception, NSi ELECTRICAL has been making, sourcing, and supplying products that make electricians' lives easier and safer. Easy-Splice™, Easy Wrap™ tapes, Easy-Tap™, Easy-Twist™ are a few of our product lines that save time and labor while providing the best installation for the electrician, and fewer callbacks. NSi LIGHTING PRODUCTS brings more than a full line of products to the field. Floods, Wallpacks, Vaportites, High & Low Bay & Industrial Lighting, our famous Worklights, Ballast Kits, Landscape, Motion & Security, DTD… and we keep on going.